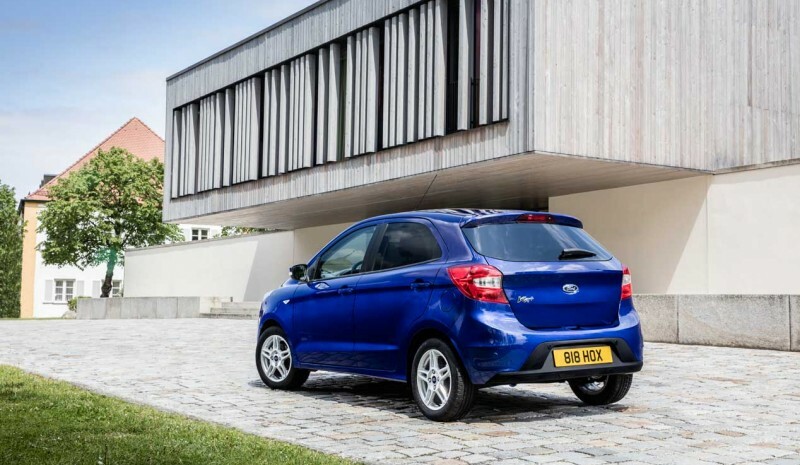 Is called Ford Ka + or Ka Plus and Esel New car B car segment the Oval incorporate into its European range in autumn. Yes, utilitarian, you read that right, because with its dimensions and its five-door has nothing to do with the hitherto known as Ka in Europe, of which only retains its name. It wants to attack this segment sales from below, competing directly on price and concept models like Dacia Sandero Y Kia Rio, sub-segment so far this year has grown in Europe a 10 percent, according to JATO (the consulting reference at European level that analyzes among other things the market for new car registrations). Manufactured on Platform B segment Ford, is a global model, following the strategy of "One Ford". Conceived as an affordable car (main buyer demand that is addressed) under the premise of maximum simplicity, in some markets in South America (Mexico and Brazil) and in India-a country where he will fabricar- and where it is sold, known as Ford Figo. Now, with changes, they insist from Ford Europe, which have been carried out significant modifications to meet the legal requirements and the demands of drivers in the Old Continent, level above all, subframe affecting rolling assemblies, the suspension and steering. Changes in Indian production chain have given more than a headache, as we said Darren Palmer, director of production vehicles Ford's B segment. No less than eight months it took to elucidate why a metallic element inside was different than in South America with the same raw materials. But outside aesthetic differences Ford Ka + with the model sold in other markets are just important, especially with regard to the front, with a chrome trapezoidal large grill collecting aesthetic DNA models of the brand in recent years, and optical groups in inverted arrow. Also the area rear is almost identical to that sold in India and Mexico, where it is offered also in sedatives version, with color bumpers protruding body (in Mexico, for example, sold in its version boot). With a length very similar to the Fiesta, (3.92 m 3.94 m Ford Ka +) Is nearly 3 centimeters higher, something that is in their spacious cabin with seating for five occupants and it is undoubtedly one of its best assets. 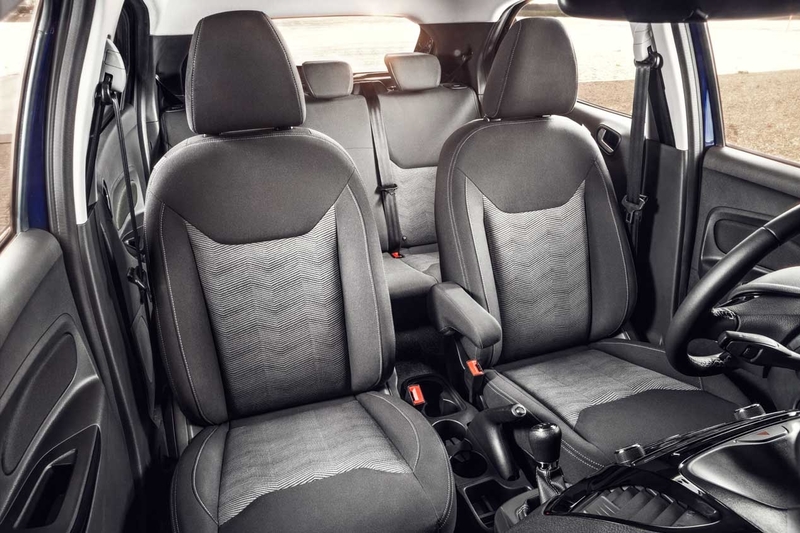 Spacious and well used inside the Ford Ka + offer boasts one of the best figures of habitability segment, highlighting against rivals both headroom in the front seats, as in the legs of rear occupants. The rear bench also provides generous dimensions in the upper segment. The its trunk capacity, however, is rather discreet, 270 liters (Smaller than the Dacia Sandero baggage handlers and Kia Rio), while offering the possibility of folding the 60/40 rear seat, if it is needed to increase capacity. Furthermore, in the cockpit we are a total of 21 useful storage compartments. Because everything inside is geared towards practicality. Your dashboard, showing almost identical to the Fiesta is clearly better than his brothers sold outside Europe. Well finished and with an apparent sense of quality, fluffier parts thanks to the touch and some elements in skin (optional). 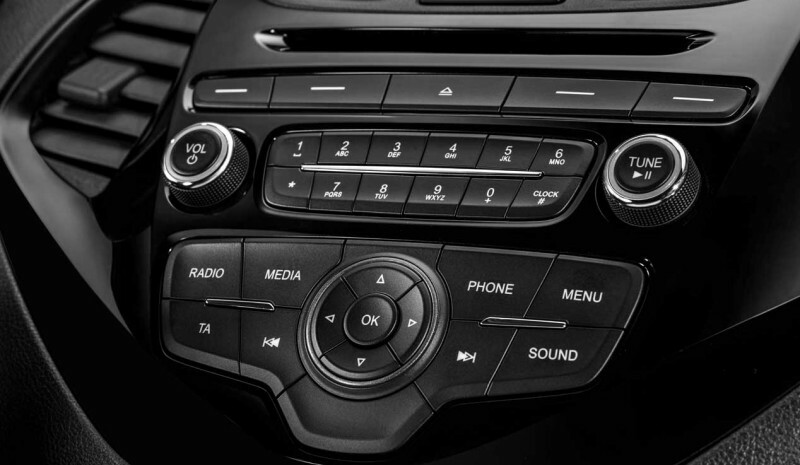 It offers everything from the most basic model system Infotainment Brand oval, SYNC, and Ford MyKey. 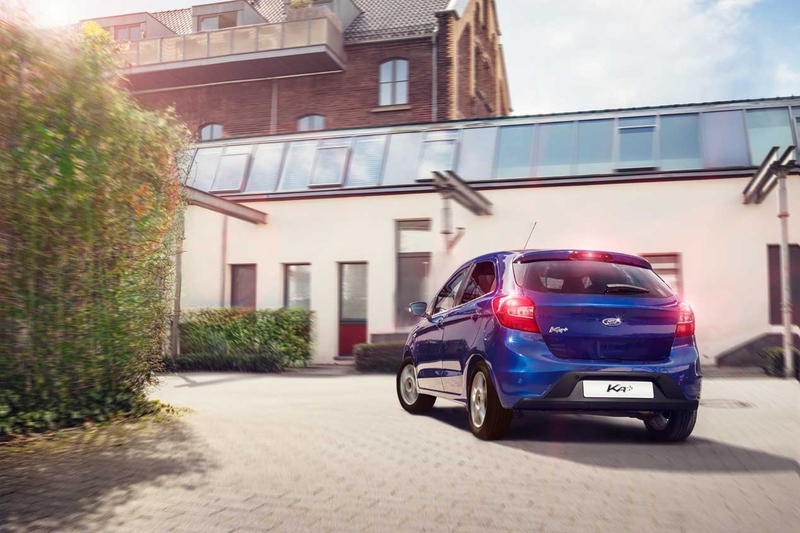 The engine range for the new Ford Ka + is simple: a only 1.2 Duratec petrol engine derived Fiesta 1.25 in two powers of 70 and 85 hp, both with CO2 emissions of 114 g / km and a combined consumption of 5 l / 100 km. In both cases, the Duratec engine paired with a five-speed manual transmission. Rendering version has a 85 hp Eco version, in principle, their arrival is not intended to Spain-, incorporating various technical solutions that optimize the consumption figure. These measures are efficient tires low rolling resistance, several specific aerodynamic details and regenerative braking system. Well equipped offers six standard airbags and stability control, among others. 85 hp version lets you embed climate control, leather steering wheel cruise control and heated seats and rear parking sensors. 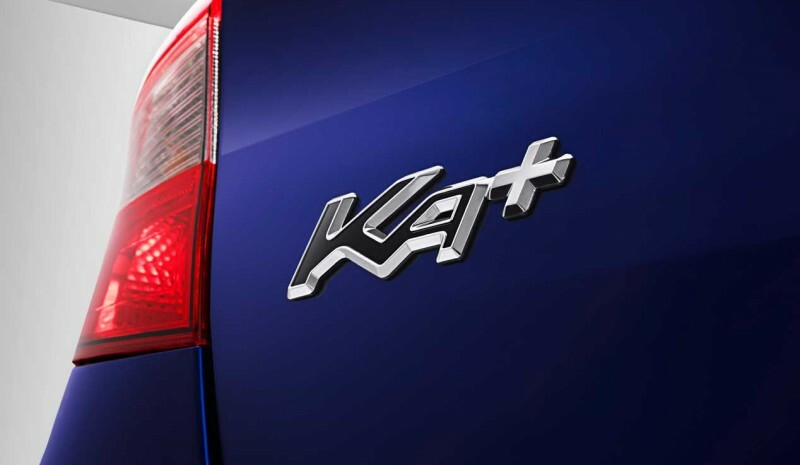 Arrival of Ford Ka + is scheduled for September from a price of 9,900 euros in Germany, yes, not including substantial discounts that are sure to compete with Dacia Sandero Y Kia Rio. The EcoBoost Ford Motor powers a ... skateboard! 50 best-selling cars in Europe. Is yours? sostituzione del motore nel mio Volkswagen Golf GTI II Cosa G60?